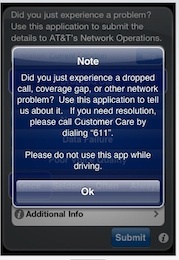 AT&T has finally admitted to iPhone users that it has serious problems in New York City and San Francisco (oh, the pain of dropped calls), and released an iPhone app called Mark the Spot. 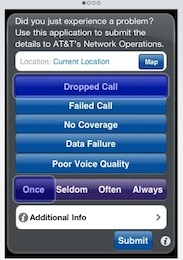 The application lets users tell AT&T where and when they encountered network problems. See the screenshots below. 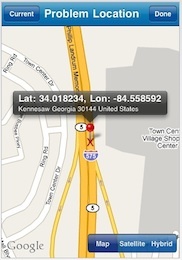 AT&T also says that 3 percent of smartphone users are generating 40 percent of the data traffic. I wonder if AT&T will start metering use. I agree 100% with the thoughts of Abramson…make AT&T accountable for their lax quality and misinformation.